New York is one of my favourite cities in the world. Last summer, I was able to spend 8 glorious sunshine filled days in the Big Apple. 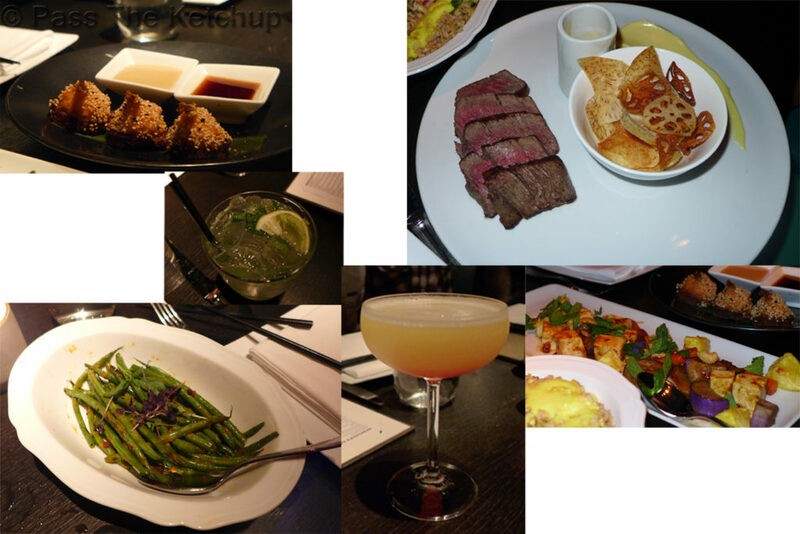 While I didn’t get to tick every restaurant off of my wishlist, I certainly did try! Here is a round up of the places in Manhattan, NYC that I recommend you try on your next visit to New York. BentOn is a Japanese cafe chain with various locations around New York. BentOn serve build-your-own bento boxes that aim to provide New Yorkers with a balanced and filling meal. I visited their financial district aka “FiDi” branch. 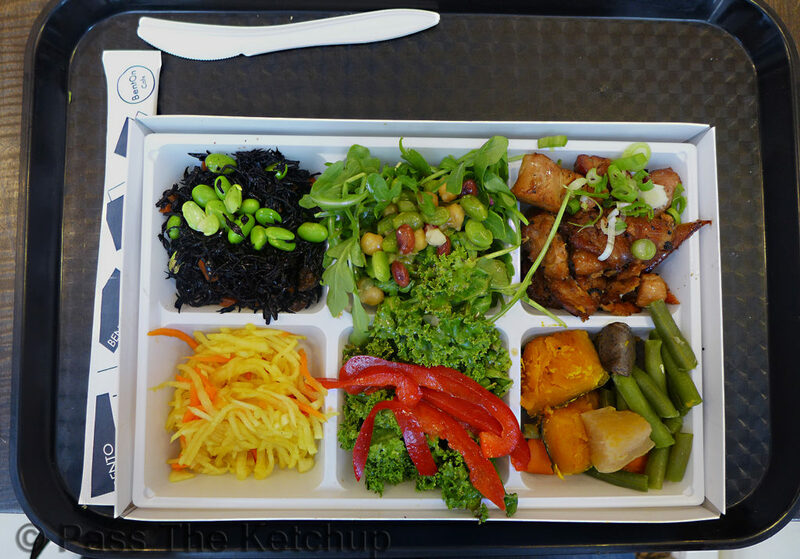 My server explained that the “protein” element of the bento (chicken, salmon or tofu) is served daily, while the vegetable sides change on a daily basis. My bento box came with chicken teriyaki, kombu and roasted dragon fruit among other things. All dishes were $10 USD or under. They have extensive seating, meaning that its a great place to pop into even during busy lunch hours. 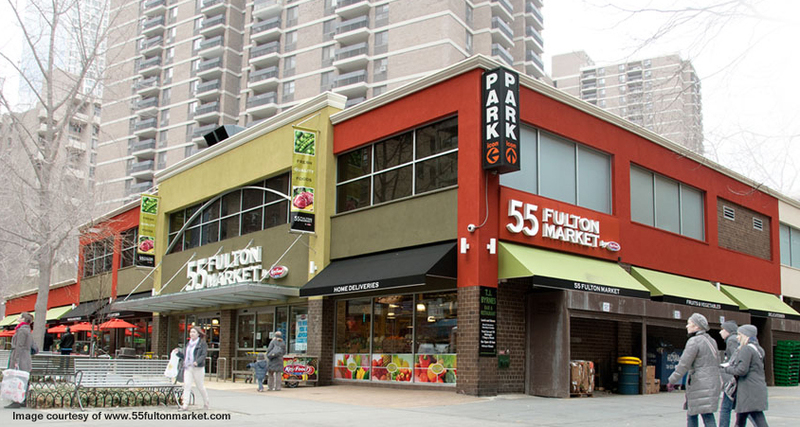 Another great find in the FiDi area; 55 Fulton Market is located at 55 Fulton Street (shocker). Fulton Market is part of the Key Foods chain – think Whole Foods, but more expensive (if that’s possible). The range of fresh food here is wonderful. Not only do they sell lots of freshly prepared fruits, veggies, sandwiches and salads, 55 Fulton Market also has a great section of hot food counters. 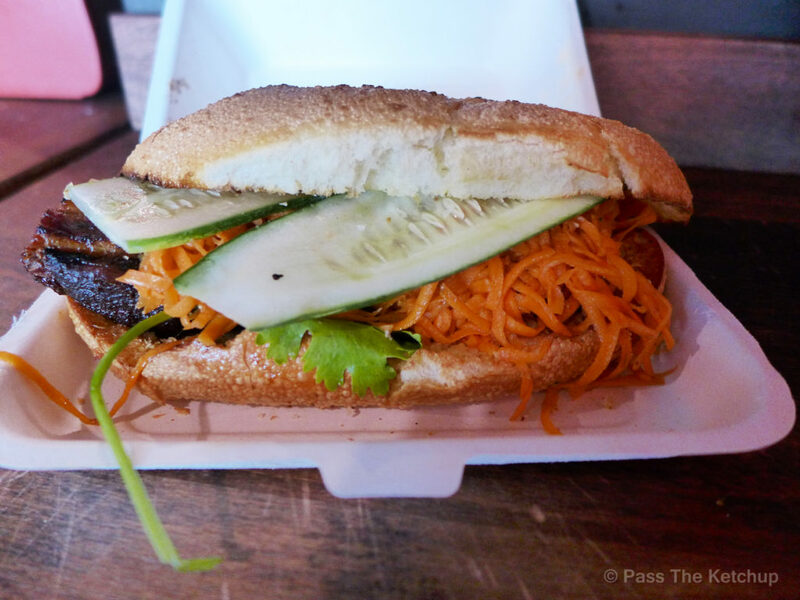 Num Pang means “sandwich” and is the Cambodian equivalent to the popular Vietnamese Bahn Mi. 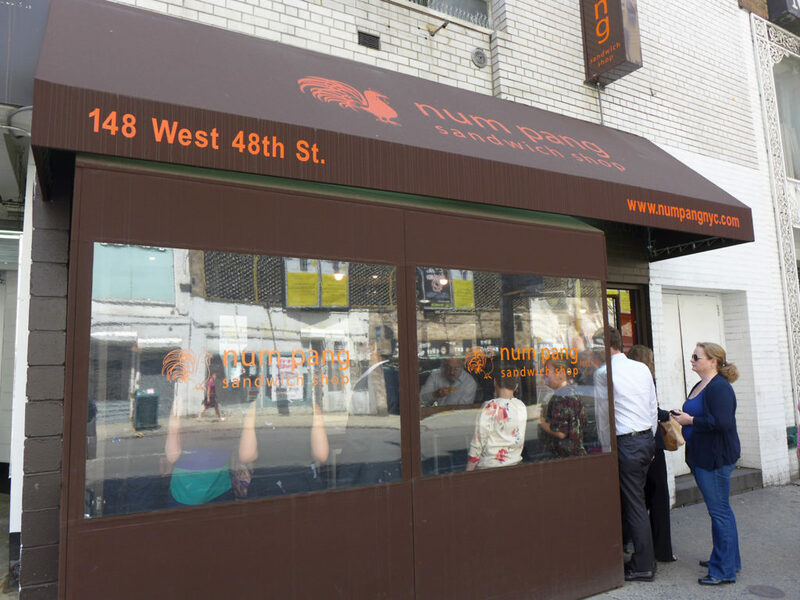 The Num Pang chain has various locations dotted around the island of Manhattan, including Chelsea Market, Union Square and Grand Central station. I stopped at their Times Square branch, after purchasing tickets for the nearby Rockefeller Centre. I highly recommend ordering the pork belly special. The bread was crusty on the outside and soft and fluffy on the inside. Stuffed full of sweet pickled carrots, crunchy cucumbers, chilli soy sauce and a juicy slab of pork belly, coated in a five-spice glaze. The queue was out the door when I visited, but moved along at an alarming rate. The New York minute is real people! 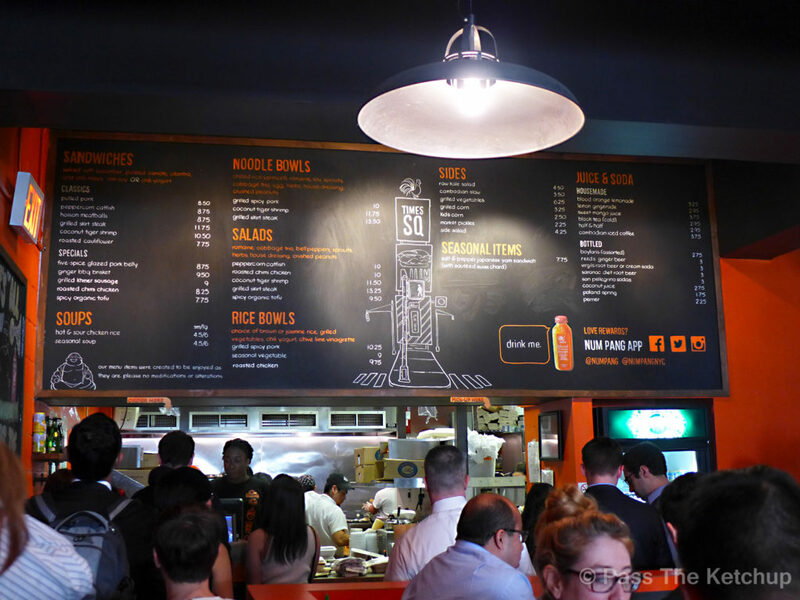 Num Pang has a fair amount of seating in their Times Square branch and the decor is cool too. Sandwiches cost between $7.75 – $9.50 USD and they offer fun side dishes (under $5 USD each) such as kale & apple salad and Cambodian spicy coleslaw. Address: 148 W 48th St, New York, NY 10036 and various other locations. Exactly as the name suggests, Malibu Diner serves typical diner style fare, 24 hours a day. I’m sure they do lots of other delicious meals but I always go straight for their fluffy buttermilk pancakes, topped with crispy turkey bacon and drenched in tons of butter and syrup. This is not the place to visit if you are on a diet. Malibu Diner is located slap-bang in midtown Manhattan on West 23rd Street. If you are in New York City at 3pm or 3am and feeling hungry, their food will hit the spot without breaking the bank. 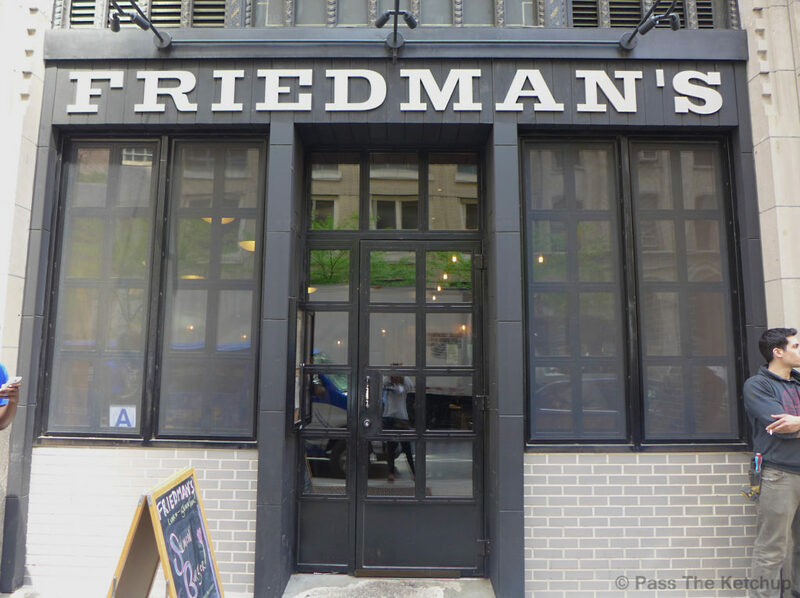 For some reason, I had assumed Friedmans was a fancy fried chicken restaurant. Friedmans, in fact, offer seasonal, locally sourced grub and have an extensive range of gluten-free options. Not a piece of fried chicken in sight. My friend and I ordered the lamb burger with sweet potato fries, and the homemade salmon burger with regular fries. Both dishes were yummy. You can really taste the freshness and the quality of the ingredients used by Friedmans. Ladies and gentlemen, the world’s smallest Korea Town is located in New York, along one tiny block on West 32nd Street. 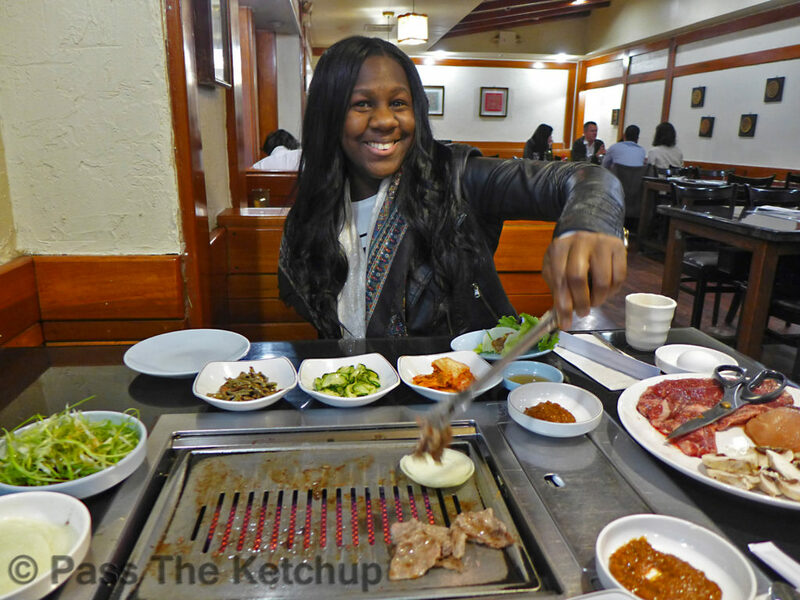 You should head to Seoul Kitchen for some delicious Korean BBQ. We opted for the BBQ combo no.2 ($59.95) and japchae ($15.95). Japchae is dish of glass noodles made from sweet potato starch stir-friend with beef, vegetables and sesame oil. They are a must order any time you are visiting a Korean restaurant. 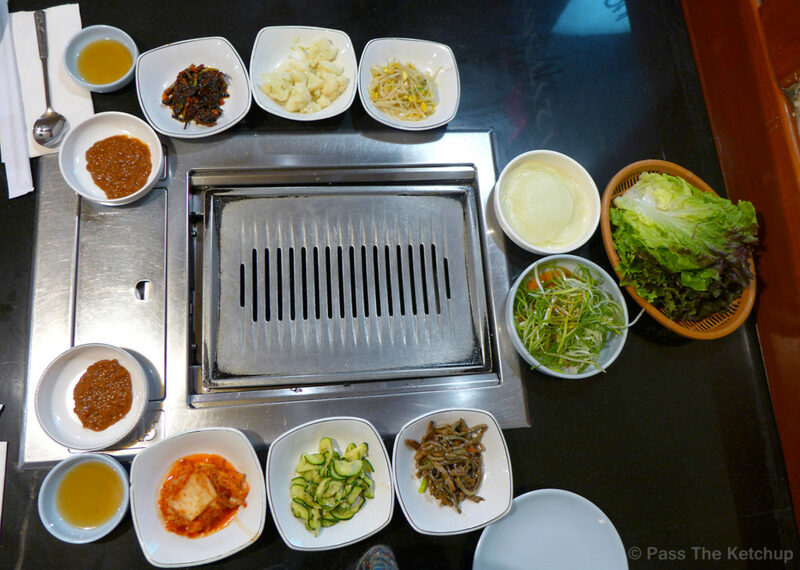 The BBQ meat was well seasoned, plentiful and accompanied by an array of interesting sides. This was my first time trying Korean BBQ and the staff were amazingly helpful in making sure we didn’t burn our food and they did so without intruding on our meal. 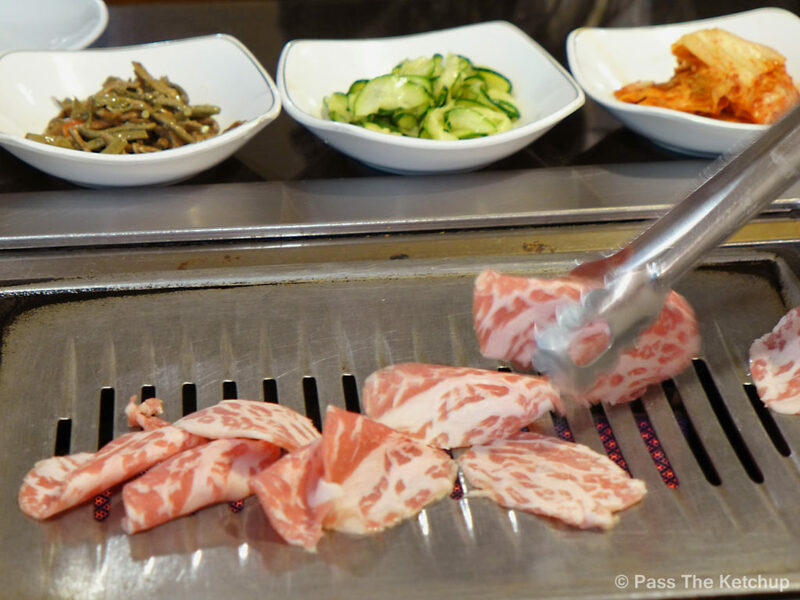 Seoul Garden was probably the most expensive meal I had while in New York – which will surprise you when you see some of the other places I recommend in this post. 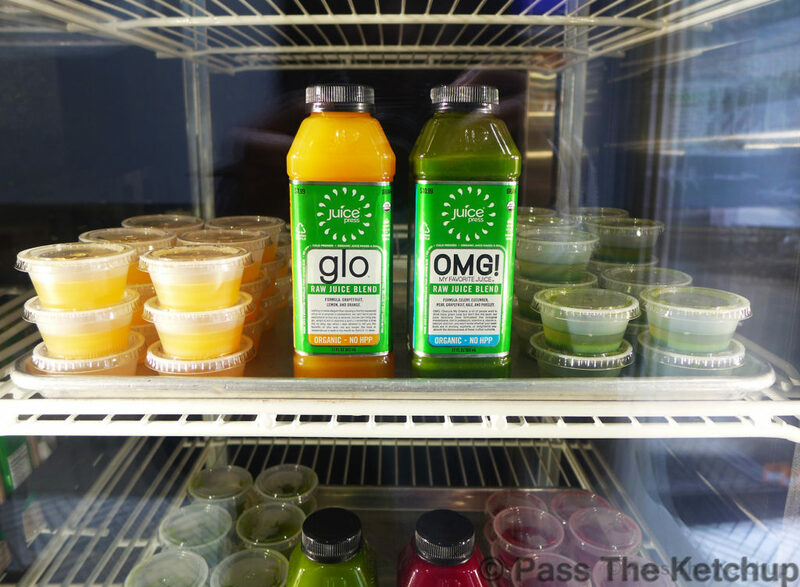 Address: West 32nd Street, between 5th and 6th Ave.
Juice Press is an organic juice bar in trendy TriBeCa. They sell cold pressed juices and organic smoothies. If you are in the Tribeca area, it is definitely worth popping in. Despite the hefty prices ($12 – $15 per smoothie!) they have lots of free samples just chilling (literally) in their fridges. All of the samples I tried were scrumptious and tasted super fresh. Juice Press also sell salads and made-to-order smoothies and juices. Address: 83 Murray St, New York, NY 10007 & various other locations. Situated in Chelsea’s Meatpacking district, Buddakan specialise in Asian fusion cuisine and have an extensive cocktail menu. Buddakan feels fancy without being stuffy. The service at Buddakan was friendly and relaxed but remained professional. Our waiter Cory should be the blueprint for all service staff worldwide. Buddakan’s food lives up to the hype and the cocktails are perfectly balanced. I tried a virgin mojito that had me checking whether it was the real thing – it was that good! This restaurant is great place to visit for a special occasion (or, if you’re rich, for a weekly catch up with friends). We even managed to do some celeb spotting while there; Hayden Panettiere from Heros and Jansen Panettiere from Blues Clues – both lovely. The perfect way to end your trip to NYC. 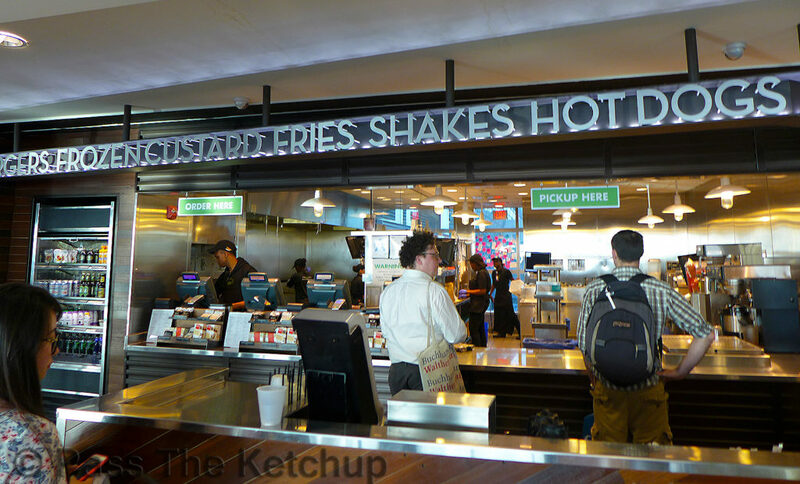 If you’re going home via JFK airport, then make a stop at one of the Shake Shacks based in Terminal 4, for your final juicy New York burger. 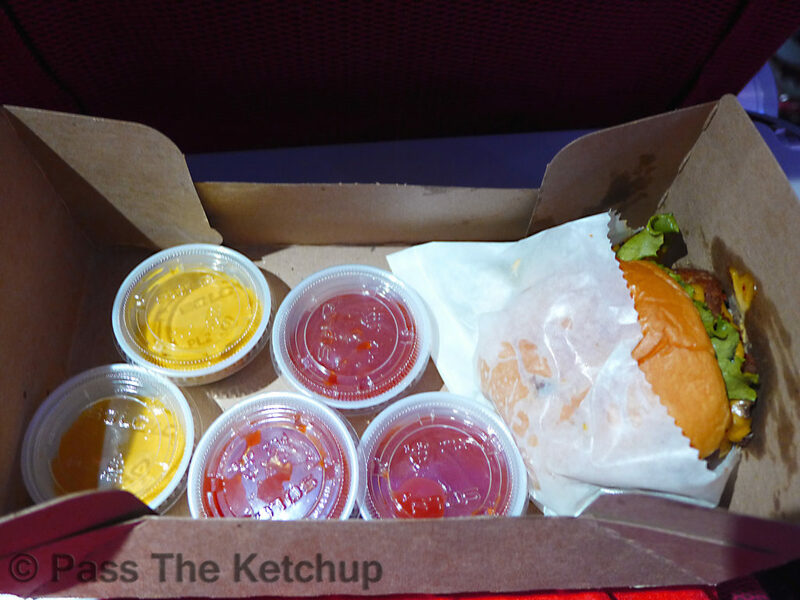 I know that there are fancier burger joints located in NYC, but Shake Shack sure beats aeroplane food. You can even get a beer with your burgers. The service is lightning fast so you won’t have to worry about missing your flight. Have you been to any of the restaurants listed above? 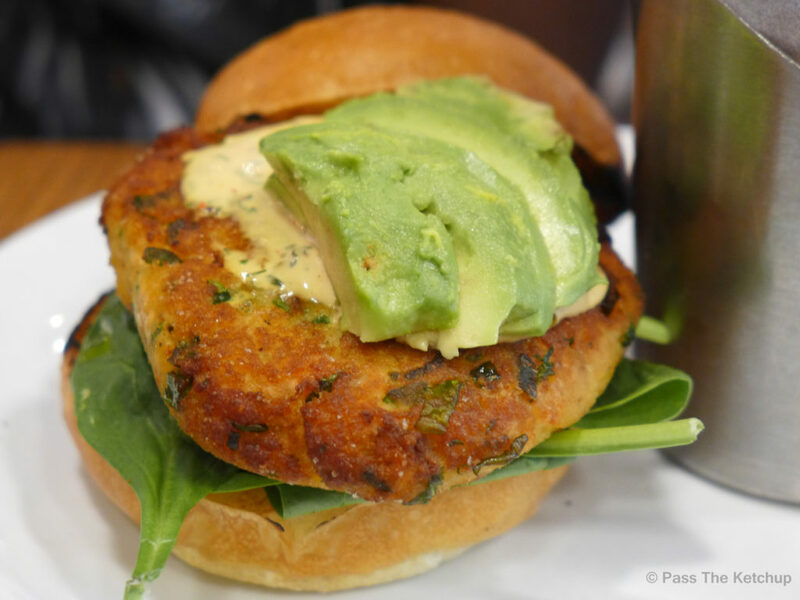 Where is your favourite place to eat in NYC? Let me know in the comments below. Dip and Flip Burger Review Mishkins: The Best Salt Beef Sandwiches in London? Where to eat on Northcote Road: Osteria Antica Bologna review 8 Dishes You Must Try When Visiting Vietnam! Previous Article← Which Brand of Coconut Water is Best?